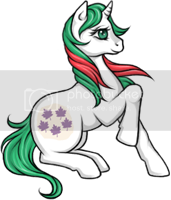 My Little Pony Arena » Forums » TCB » For Sale - For Auction » G4 CMC "School Pals" set, GLIMMER WINGS, G1/G3 Ponies &MORE! Forums » TCB » For Sale - For Auction » G4 CMC "School Pals" set, GLIMMER WINGS, G1/G3 Ponies &MORE! Posted: 0 Post subject: Re: HOLIDAY SALE! TE Blindbags, FS RDash, G1 Beanie HATS & MORE! Last shot at these guys... before they head to ebay! Posted: 0 Post subject: Re: ON EBAY:Customs/TE Blindbags/FS ponies/G1 Beanie HATS &MORE! Customs and other ponies now listed to ebay! Check out my auctions! More to come... hopefully tomorrow! Enjoy! Posted: 0 Post subject: Re: ON EBAY: FiM Bathset/G4Customs/FSponies/G1Beanie HATS &MORE! My Big Lots had the FiM Bathsets.... I snagged an extra... and added it today! Check it out! **UPDATE** TWINKLE EYED "Mane 6" are now on ebay!!! Posted: 0 Post subject: Re: ON EBAY: FiM Bathset/G4Customs/FSponies/SHOT GLASSES & MORE! Now... custom SHOT GLASSES have been added to ebay! Posted: 0 Post subject: Re: EBAY Auctions ENDING in LESS THAN 24 hrs!SHOT GLASSES &MORE! Quite a few of my auctions (including TE Blindbag Whizzer, G4 Bubbles and Seashell... and the Fashion Style G4s) are all ENDING TOMORROW NIGHT! check them out! I also added a few G1 ponies! Save them from my "bait" box! Posted: 0 Post subject: Re: EBAY Auctions ENDING in 5 hrs! G1 ponies,SHOT GLASSES &MORE! Between 5 and 8 hrs left to go on my auctions!!! Posted: 0 Post subject: Re: EBAY Auctions ENDING TOMORROW! G1 ponies,SHOT GLASSES &MORE! And NEW G1 PONIES added!!! Those shot glasses are awesome! And I've seen Pinkie on the show, I think the last thing she needs is her own shot glass. The stylized Spike is very cool! Wow, I want those glasses! I'm putting it on my watch list! Posted: 0 Post subject: Re: More Custom Shotglasses on Ebay!! G1 ponies added & MORE! Posted: 0 Post subject: Re: More Custom Shotglasses on Ebay!! G4 GLIMMER WINGS & MORE! Added the new Glimmer Wings ponies!!! Posted: 0 Post subject: Re: 12 HRS LEFT!!! Shotglasses on Ebay! G4 GLIMMER WINGS & MORE! Auctions ending in less than 12 hrs! Check 'em out! Posted: 0 Post subject: Re: G4 GLIMMER WINGS, G1 & G3 Ponies & MORE!